Raggedy Ann includes dress, apron, bloomers, socks, wig and hat. 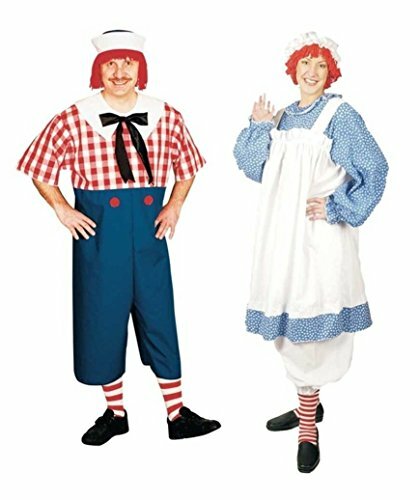 Raggedy Andy includes brings a jumpsuit with shirt, bow, socks, hat and wig. Raggedy Andy fits up to size 48. Raggedy Ann fits up to size 18. Multicolored items.